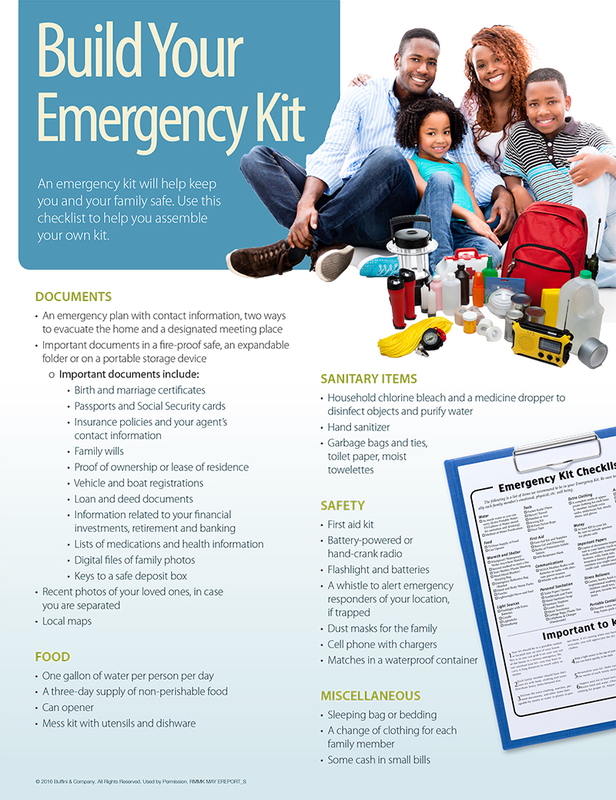 HOW TO PREPARE FOR AN EMERGENCY – DO YOU HAVE A PLAN? According to the Federal Emergency Management Agency (FEMA), more than 80% of Americans live in counties that have experienced a weather-related disaster. Do you have a plan? This month’s information offers tips on how to create a plan that will help you and your family in the event of an emergency. It covers everything, including: deciding on a meeting location, collecting documents and practicing your plan on a regular basis . You may not be able to control if or when an emergency will happen, but you are able to control your preparation for it; and preparation equals safety.